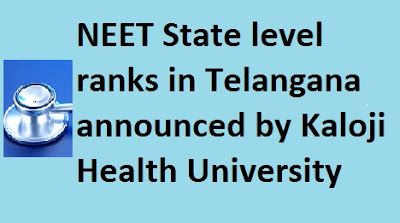 Kaloji Narayana Rao Telangana Health University has announced state ranks of NEET 2017 qualified candidates. Lakkimsetty Arnav Trinadh, who secured 12th rank at national level has secured first rank in Telangana state. 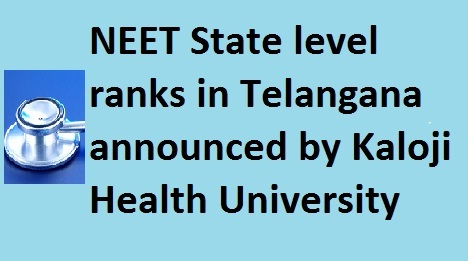 Mangani Deepika (national 24th rank) and A. Venkata Hemanth (30th rank at all India level) have secured 2nd and 3rd ranks in Telangana.